Enjoy this spacious light-filled mid-century ranch on nearly a quarter acre lot. Almost every surface of this home has just been updated, nothing to do but move in and make it yours. Stay cool all summer with the newly added central A/C and cozy in the winter with the brand-new furnace. The new kitchen includes soft-close cabinets, granite countertops, glass tile backsplash, tile floors, and black stainless-steel appliances. 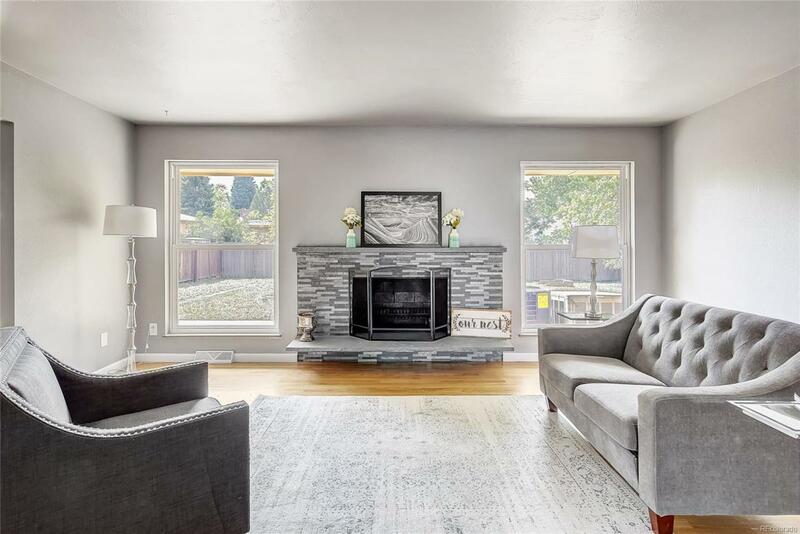 The original wood floors throughout the main floor and wood burning fireplace add to character of this charming home. French doors to back yard make this the perfect place to bbq and play! The basement provides plenty of additional entertainment space plus updated laundry room, 2 bedrooms, bathroom and additional storage.